Statement earrings with 1960's interlocking globe beads and carved mother of pearl pendants. 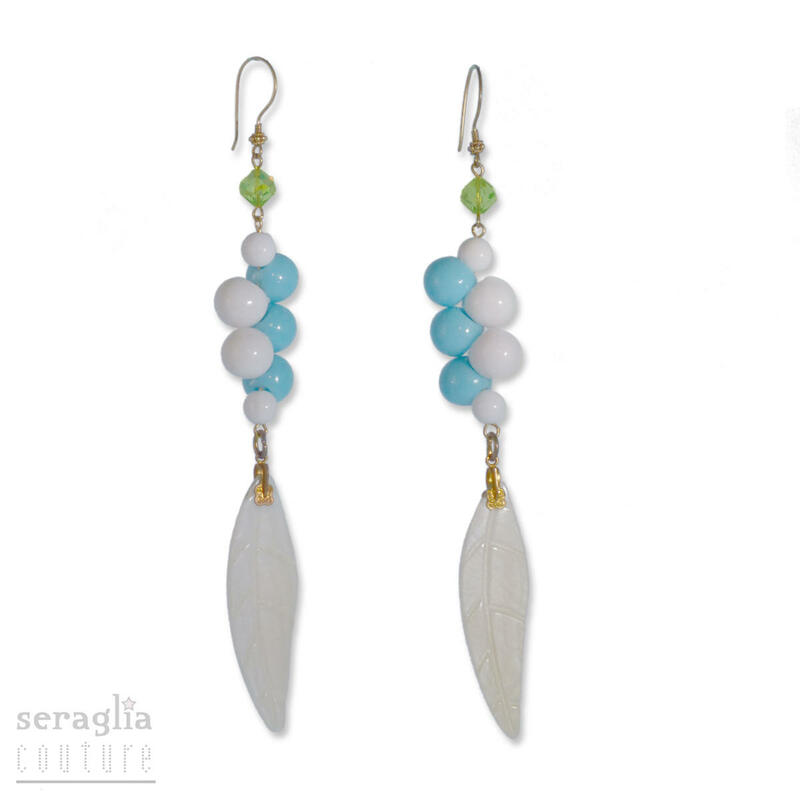 Feather light and finished with gold vermeil earwires. Inspired by Palais Bulles, the 1970's bubble palace built for Pierre Cardin.